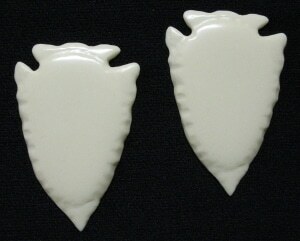 You get 10, hand cast faux ivory pendants. These arrowhead pendants are hand cast from an original hand carving. They can be easily drilled if you want to attach a jump ring or other jewelry finding for a necklace chain.